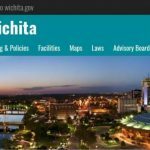 The city of Wichita has earned recognition as a Bicycle Friendly Community from the League of American Bicyclists. 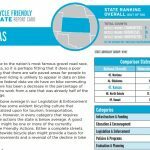 The 2017 edition of the League of American Bicyclists Bicycle Friendly State rankings are out, and if you scroll way, way down towards the bottom of the list, you’ll find Kansas at #47. 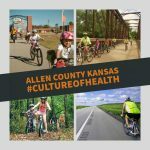 Building a bicycle-friendly community in a small rural area was a big part of Allen County winning the nationwide Culture of Health prize. Bicycle Pedaler and Bike Walk Wichita have earned gold-level Bicycle Friendly Business awards, the first in Kansas. Topeka, Kansas earned the bronze-level Bicycle Friendly Community award, joining Lawrence, Manhattan, and Shawnee (all bronze) on the list of Bicycle Friendly Communities in Kansas. Shawnee renewed its bronze-level status, while Leawood maintained an honorable mention in the Fall 2015 Bicycle Friendly Community awards. Kansas State University has earned a Bronze Bicycle Friendly University designation, becoming the first college in Kansas to make the grade. The League of American Bicyclists has announced their latest Bicycle Friendly Businesses, with one new BFB in Kansas. Congratulations, Bicycle X-Change Shops in Wichita! 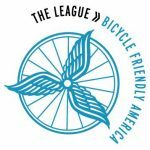 The League of American Bicyclists has announced their latest Bicycle Friendly Businesses, with one new BFB in Kansas. 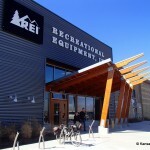 Congratulations, REI in Overland Park!